This is the last beer before we get back onto the European Beer Challenge, been emptying the old fridge to make room for the beautiful new fridge with extra beer capacity. Denmark is a great beer producing country and this is probably my favourite Danish beer. Whilst that is a lovely pilsner glass I think there is only one true way to enjoy this beer, in a proper beer horn (pictured below). There's not a whole heap more to say here, but I do like the pull top cap which is useful when one can't find an opener. Let's do a quick review and hopefully get onto new beers tonight. The beer pours like any good pilsner should. It has a nice pale straw colour with excellent carbonation rising to a good sized white head. There is excellent retention and a solid lacing all around the glass. If drunk in the correct vessel however there is no way to tell what this beer looks like, hence the pilsner glass. It's a nice looking lager. 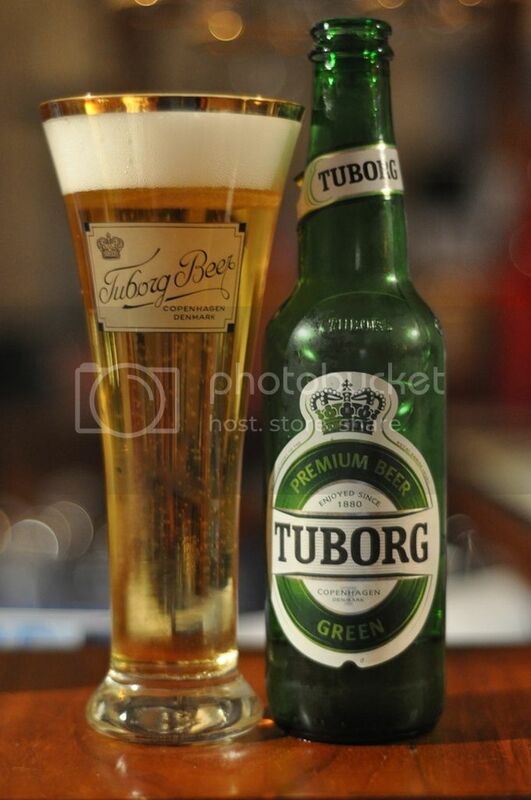 Tuborg Green smells like your average macro lager. There isn't a huge ammount on the nose apart from your standard pilsner malts and some mild smelling hops. The hops are probably a disappointment on the nose they don't smell particularly fresh and a mild grassy hops is not really what this beer called for. At least the smell isn't offensive but it by no means a strength of this beer. After what this beer smells like you wouldn't expect a hell of a lot from the flavour. This beer however is an exception, the flavours are much stronger than the smell suggests and incredibly complimentary. The flavour starts off with typically sweet pilsner malts before the hops kick in and the beer comes to a nice slightly bitter finish. The mouthfeel is light and bubbly, with excellent drinkability. Like most Danish lagers this one is not one for the connoiseur, however it is a great session beer. If anyone is looking for a change-up from your average Euro slab this is a good option. At only $40 a slab it's cheaper than Heineken or Becks, and I would say that's its not a step down in quality. It's a quality beer so if you can get your hands on it, give it a go. Acland Street Cellars in St. Kilda have it quite often if you're from Melbourne. If not they deliver nationwide www.beerstore.com.au . Hope this helps you out. i don't like the bitter taste almost puked after only 2 beers. 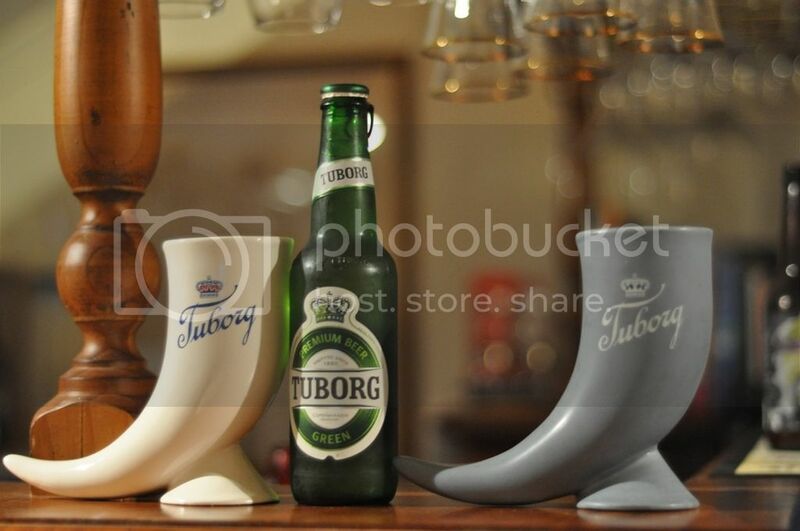 i almost couldn't finish them.lucky for me there was some tuborg red to wash the bad taste. Normally I see it in Acland Street Cellars. I think McCoppins in Abbotsford might stock it too... I think Purvis might have had it once as well... If you call a couple of these places one of them will at least be able to point you in the right direction.